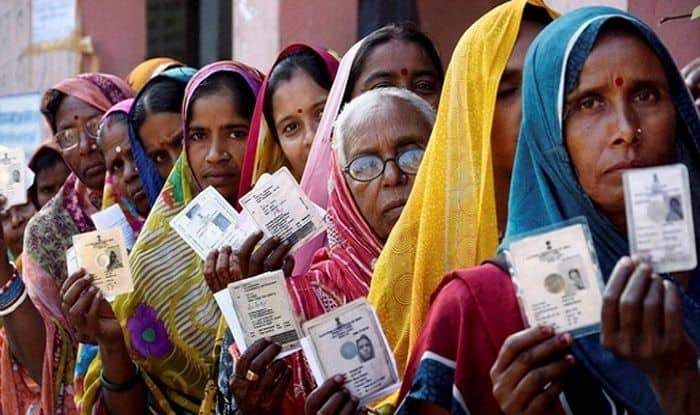 The Tiruvannamalai, Arani, Viluppuram, Kallakurichi and Salem seats in Tamil Nadu will go to Lok Sabha Elections 2019 in second phase on April 18. Tiruvannamalai constituency consists of 1,052,587 electorates in total, as per the Election Commission of India (ECI) 2009 data. In 2014, the seat was won by AIADMK’s Vanaroja R against Annadurai CN of the DMK. For Lok Sabha Elections 2019, the DMK has fielded Annadurai CN against AIADMK’s Agri Krishnamurthy SS and BSP Babu B.
Arani constituency consists of 1,097,865 electorates in total, as per the Election Commission of India (ECI) 2009 data. In 2014, the seat was won by AIADMK’s VElumalai against R Sivanandam of the DMK. For Lok Sabha Elections 2019, the DMK has fielded Dr MK Vishnu Prasad against AIADMK’s Elumalai V and BSP Sivaprakash K.
Viluppuram constituency consists of 1,068,171 electorates in total, as per the Election Commission of India (ECI) 2009 data. The seat is reserved for Scheduled Caste candidates. In 2014, the seat was won by AIADMK’s Rajendran S against Muthaiyan K Dr of the DMK. For Lok Sabha Elections 2019, the DMK has fielded Ravikumar D against BSP Kaliyamurthy G.
Kallakurichi constituency consists of 1,068,171 electorates in total, as per the Election Commission of India (ECI) 2009 data. The seat is reserved for Scheduled Caste candidates. In 2014, the seat was won by AIADMK’s Kamaraj K against Manimaran R of the DMK. For Lok Sabha Elections 2019, the DMK has fielded Gautham Sigamani P against DMDK’s Sudhish LK and BSP Sakthivel S.
Salem constituency consists of 1,068,171 electorates in total, as per the Election Commission of India (ECI) 2009 data. The seat is reserved for Scheduled Caste candidates. In 2014, the seat was won by AIADMK’s Pannerselvam V against Umarani S of the DMK. For Lok Sabha Elections 2019, the DMK has fielded Parthiban SR against AIADMK’s Saravanan KRS and BSP Sadaiyan M.